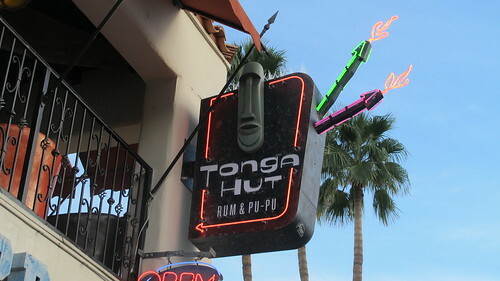 Tonga Hut – The oldest still-operating tiki bar in Los Angeles has branched out with this second location boasting interesting cocktails, a full dinner menu and a “secret” tiki room. Bootlegger Tiki – This tiki bar opened in September 2014 in the building that once housed the Palm Springs location of Don the Beachcomber. It also features a coffee shop called Ernest Coffee Co., named after Don the Beachcomber’s real first name. The Reef – The latest addition to the Palm Springs tiki scene can be found at the historic Caliente Tropics hotel. The Reef is a “tropical-themed libation sanctuary” from Rory Snyder, the founder of Tiki Caliente and Mod Palm Springs events. Toucans Tiki Lounge – This tiki-themed gay nightclub is getting a retro makeover. The Shag Store, Palm Springs – A treasure trove of nearly sold-out prints and merchandise from Josh Agle aka Shag. It’s owned by the same folks as M Modern Gallery. Caliente Tropics, Palm Springs – This tiki-themed motel opened in 1964 and has had a tumultuous history, going from being a rundown place of somewhat ill repute to hosting the inaugural Tiki Oasis event. Royal Hawaiian Estates, Palm Springs – During Modernism Week 2013, we toured this 1960s condominium community that merged mid-century modern architecture with a Polynesian theme. 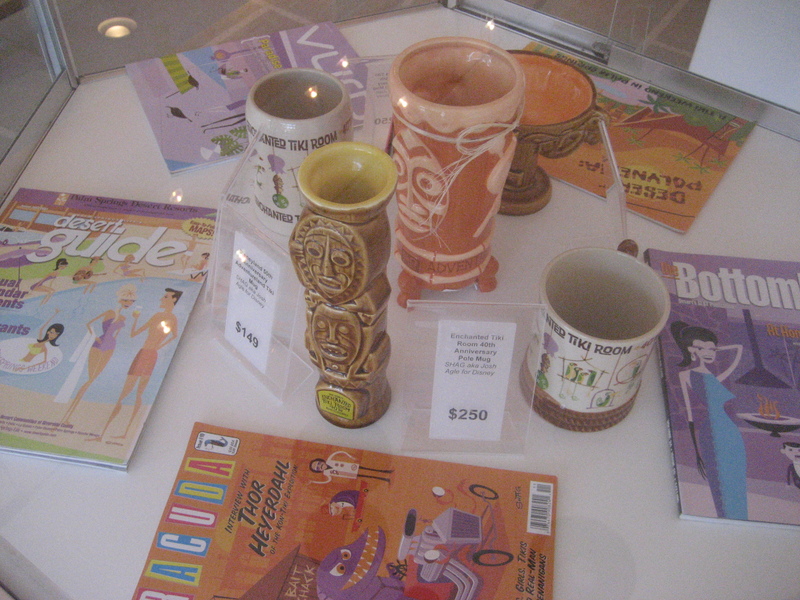 Dazzles, Palm Springs – Tons of rattan furniture and vintage jewelry can be found at this Uptown Design District shop. The Riviera, Palm Springs – A snazzy, retro resort with a great pool and a lounge decorated with Shag prints. Mid-Century Mermaids: A History – Modernism Week 2012 featured this aquatic-focused presentation, plus a performance from Marina the Fire-Eating Mermaid. 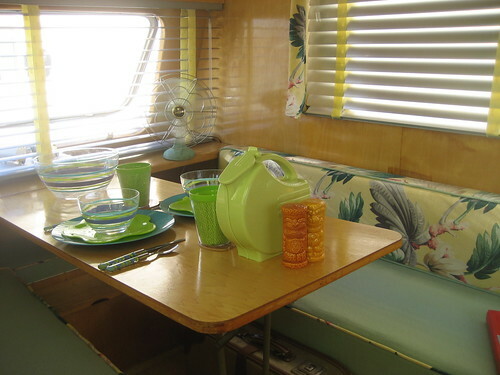 Vintage Airstream Trailer Tours – Be on the lookout for tikis at the vintage airstream trailer tours during Modernism Week. Welcome Aboard – The Pan Am Experience – Among the airline memorabilia at this Pan Am exhibit there were vintage travel brochures that highlighted the allure of Polynesia. “Tiki Modern: Style for the Sophisticated Savage” Lecture – “The Book of Tiki” author Sven Kirsten brought along a few tiki artifacts to this talk on the history of tiki. Mahalo, Brian! So happy to hear from fellow tiki fans. Back in the 70’s and early 80’s there was a tiki themed restaurant in Palm Springs with a large pond in the middle surrounded by tables, but I haven’t been able to ind anything about it. Are you familiar with it at all? Hmm, could it have been Aloha Jhoe’s by any chance? There isn’t much information on that place. Hey Tiki Chick! Next time you roll thru Bakersfield, CA check out Tiki-Ko. Got great reviews in the LA Weekly. It’s on my list for sure!